Fresh emerging artists Totemlost and 98.20.11 have both been causing huge waves since they exploded onto the Dance music scene – and it is clear to see why. Armed with their record collections, which consist of some of the globe’s most thrilling Main Room bangers, between them they have already gained the support of many A-List stars such as Nicky Romero, Blasterjaxx, Above & Beyond, Chuckie, MAKJ and Tommy Trash – highlighting how talented in the studio they are. 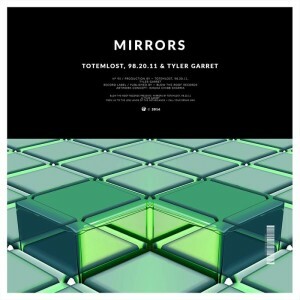 Totemlost and 98.20.11’s recent time in the studio resulted in ‘Mirrors’, a Progressive House infused Main Room anthem that is sure to cause mayhem on dancefloors worldwide. Full of driving bass-lines, mesmerizing melodies, perfectly crafted synth work and featuring the stunning vocals of American singer/songwriter Tyler Garrett, ‘Mirrors’ is a must have record for any DJ’s record collection – a worthy inclusion in any peak time set. The release of ‘Mirrors’ will see Totemlost make his highly anticipated return to Blow The Roof Records and will see 98.20.11 makes his debut on the label. The exciting UK based imprint has already been turning the heads of many music lovers on an international scale, thanks to their commitment to only releasing projects of the highest quality. ‘Mirrors’ is out now and is set to project both Totemlost and 98.20.11 higher up the EDM ladder.